I recently received these Sensory Toolkit from Johnsons Baby Philippines containing their products to keep kids feeling fresh and some activities they can do to learn how to enjoy real play for real! Using this Sensory Toolkit, will empower and inspire to enrich child's day everyday, one little (and easy!) activity at a time. There was also some interesting information about how Johnson's and child development experts rally for active sensorial play to enhance a child's holistic development. In a society that is highly becoming more digital by the minute comes the swell of gadget use. It is said that 36% of Filipinos have about 10 gadgets per household*, which could tell why it has become a normal scene at homes that even kids use it for play. More so, giving them the latest gadgets has been a way for parents to give their kids so much more, with their digital acumen considered as an advantage. While it is true that gadget play can teach children in many ways, it is through active sensory play when all their five senses are awakened to discover and learn the world around them. This has been proven by Johnson’s baby in a social experiment to see how children respond to gadget play versus playing with textures and shapes, water, different implements, and even with other children. Captured in a heartwarming film, this initiative has unveiled the wonders of learning using the five senses through active sensory play – as witnessed by the moms themselves. (L-R) Host Eliza Ypon, Teacher Monica Javier of Keys School Manila, licensed clinical psychologist and play therapist Fiona Sandoval, mom Kris De Guzman, and Johnson’s Associate Marketing Director Trina Tanlapco pose for the camera after a very engaging discussion on the importance of active sensorial play in the children’s holistic development during the gadget-free playdate held by Johnson’s baby. “In sensory play, children develop their fine motor, language and cognitive skills. The stimulated senses work hand in hand in helping a child achieve holistic development,” she added. In school, sensorial activities are used to teach children about different concepts. For example, encouraging them to play and explore with blocks allow children to distinguish shapes, sizes and weight; it also encourages them to plan strategically. Providing opportunities to paint with different implements or with their body develops creativity and teaches them about colors and textures. Running, jumping, crawling or any form of movement can help them develop gross motor skills. Pretend play in these areas encourages communication among them. “Sensory activities allow children to go through a scientific process in a very natural way. While playing, they ask questions, predict, make hypothesis, test hypothesis and make conclusions,” shared Javier. For mom Kris De Guzman, a mother of two, introducing sensory play to her children balances out their time from other forms of play. 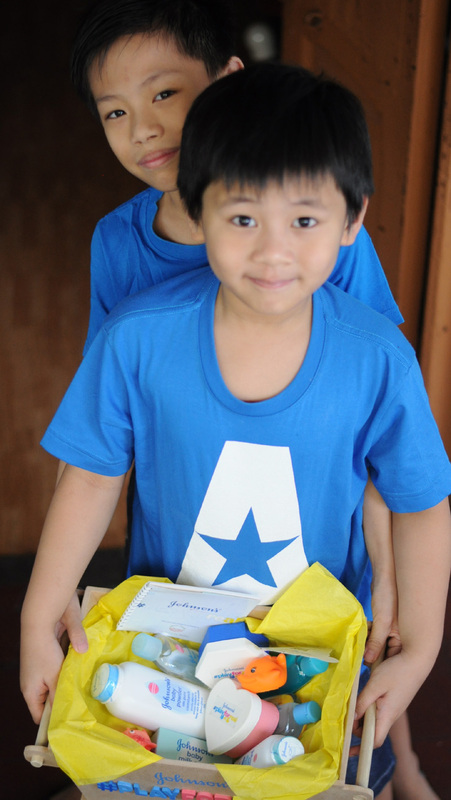 It also makes them more imaginative, creative, and resourceful in the activities that they do together. “At home, bath time is also playtime for my kids. We play with bubbles, make up stories, and learn about body parts. Through simple activities like this, we are able to make enjoyable moments together and strengthen our connection toward each other,” said de Guzman. 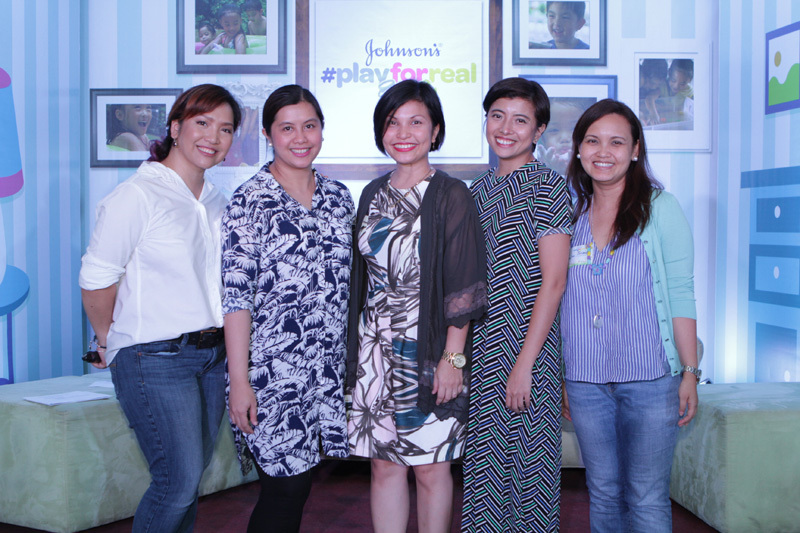 Indeed, playtime can mean so much more, so let your kids #playforreal. Thank you so much Johnsons's Baby Philippines! How about you? What activities do you do to let your kids play for real?